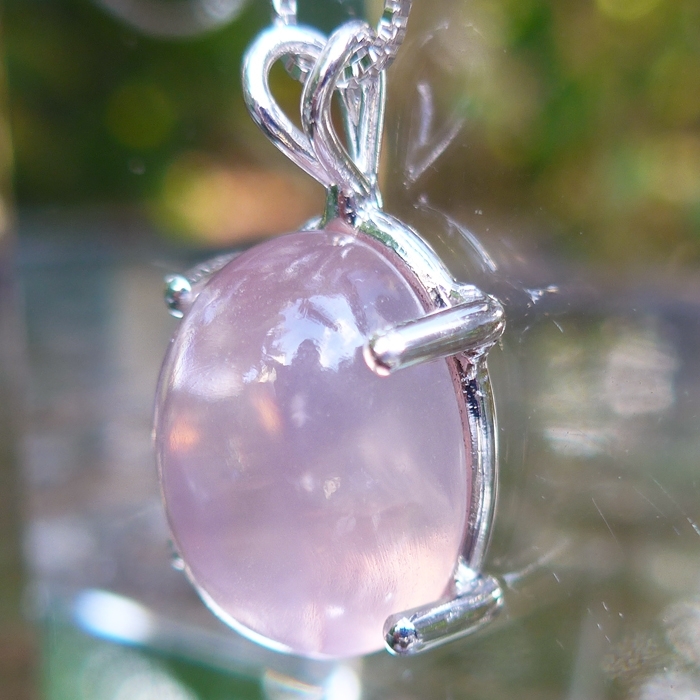 Dimensions (HxWxD): 1.45" x .7" x .45"
This lovely 1.45 inch high AAA Rose Quartz Cabochon Pendant exhibits great clarity and a primo pink hue, along with a pronounced asterism, visible in strong light. 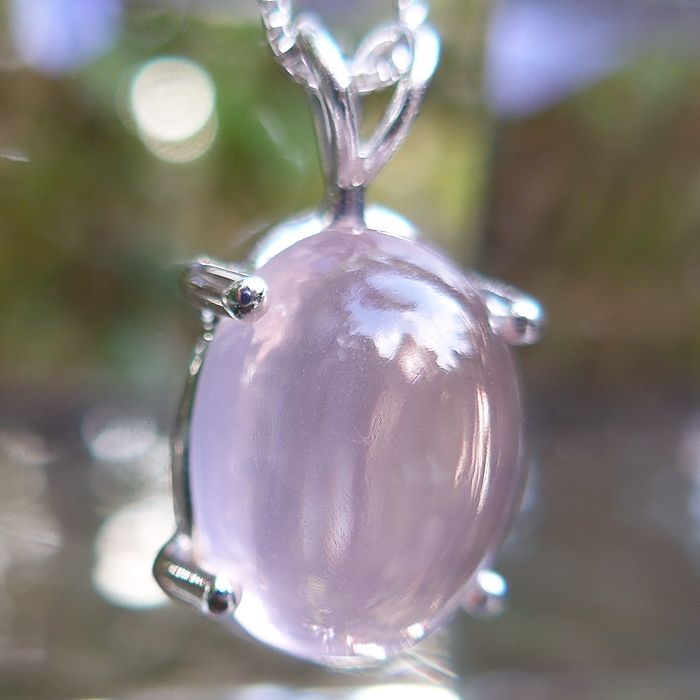 It imparts a deep & warm pink glow and you can see a star like pattern of reflected and refracted light within the stone when it is held near a light source. The surface is flawless. No inclusions reach the surface of this lovely stone. 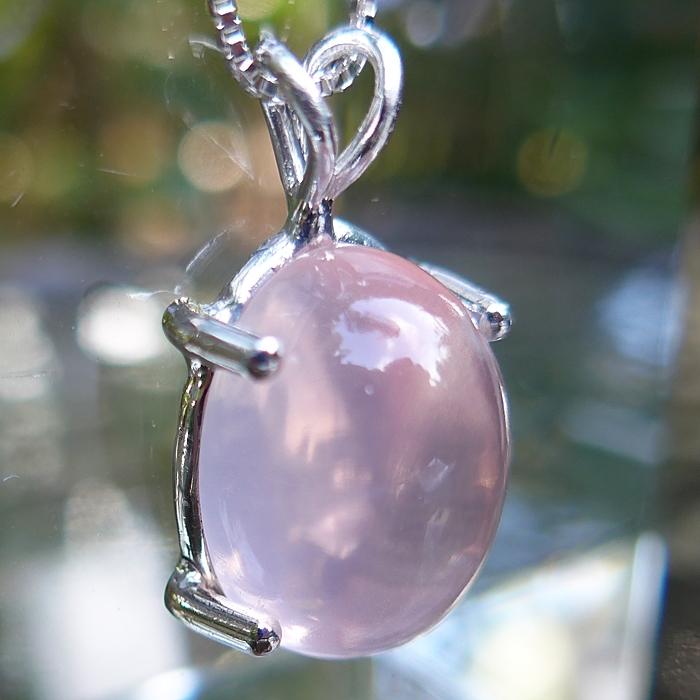 This pendant comes with an 18 inch sterling silver chain which sits upon the thymus where it will resonate between the throat chakra and the compassionate heart. It comes in a velveteen pendant box for safe keeping. Allow its soothing energies to provide you heart's ease, while you focus your attention on opening your heart during meditation sessions. Wear this pendant to increase your sense of self and self love while remaining open to spirit, compassion and joy. Note: weight above is shipping weight. Net weight is 6.5 grams.